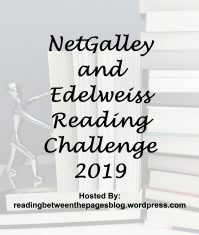 I participated in the Netgalley & Edelweiss Challenge for the last few years now, with varying degrees of success. Last year, I only managed to read a small number of books for this challenge. But let’s not dwell on the past. I’m going for Silver level again this year, which means I have to read 25 books.